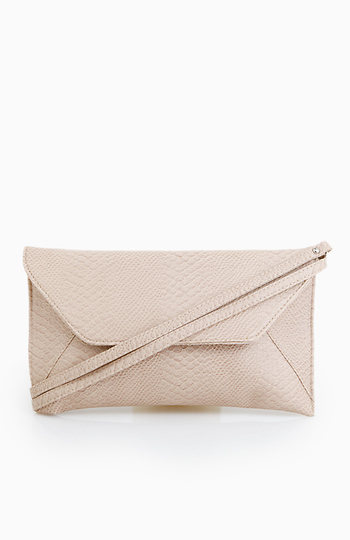 Faux leather snake skin clutch with snap closure and interior pocket. Detachable shoulder strap. Floral print lining.